Comment: Current system is 18yrs old. Condensor coil is bad so we currently have zero A/C. Comment: 4 BR, plus living room, den, dining room, study, kitchen, 2 full-bath and 1 half-bath, 2500 sq/ft, one level, built 2006, great insulation, 4 ceiling fans, 14 ft ceiling in living room, dining room, and foyer, 10 ft ceiling in other rooms. Presently 5 ton, 11-12 SEER, 2005 Carrier high efficiency, outside compressor. The coils in attic unit are eroding and leaking refrigerent, thus, outside unit doesn't have pressure to run. Capacitor is good. About 10 ft of ductwork needs increased diameter. Interested in unit that effectively dehumidifier and efficient. Prefer Carrier. Comment: There are 2 zones one for upstairs and the downstairs. Comment: AC unit runs, fan blows air, but there is no cooling. Fayetteville HVAC & Air Conditioning Contractors are rated 4.59 out of 5 based on 216 reviews of 15 pros. 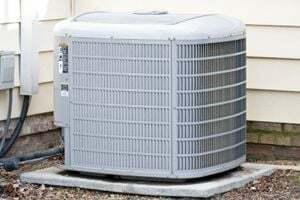 Not Looking for Air Conditioning Contractors in Fayetteville, AR?